Challenge: Increase lagging deposit revenue by driving Advantis account acquisition with a limited-time higher-rate CD offer promotion. 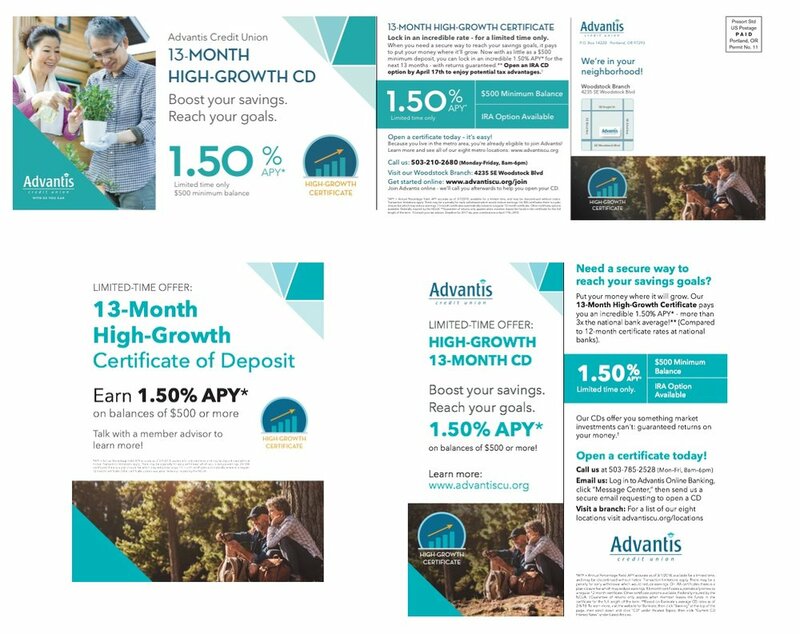 Solution: Generate print and digital assets for a campaign to promote a "High-Growth" account designation that can both highlight CD value propositions and also be leveraged for other higher-rate offers. Challenge: Use small-format ads to drive Bank of America customers to various parts of the Bank's online personal-finance information hub. Solution: Leverage a range of messaging and visual metaphors that address a variety of savings and budgeting concerns.